I haven’t listened to 1989. At least not the whole way through. Sure, I’ve been subjected to the unmitigated horror that is “Welcome to New York” and I’ve willingly and unwillingly listened to “Shake It Off” more times than I’d care to admit in public. But the album itself remains untouched, and that’s because TSwift decided to pull her music off Spotify. In many ways, this is something only Taylor Swift could have done. Why? Because she is Taylor F*cking Swift, that’s why. She would have sold a bazillion copies of any album she released. She’s one of the very, very few artists with enough leverage behind her name to make companies bow down before her, and it makes sense from her perspective. Spotify, by their own account, pays about $0.006 and $0.0084 cents per stream or something, which means that you’d have to play a song 215 times on Spotify to make the same amount of money you would if someone just bought the song on iTunes, which is slightly ridiculous. But there is an underlying problem here, and it isn’t just that I now have to find a way to replace “I Knew You Were Trouble” in my playlists. The issue is that while Taylor can pull all her music off of Spotify, she might become a dangerous example. While there’s an argument for more fair compensation that she is (rightly) highlighting, artists moving their music off of Spotify en masse would be the most anti-consumer move since…I don’t know, cable companies still existing. Think back to the 2000s. N*SYNC still mattered. Eminem had just released The Marshal Mathers LP to critical acclaim. Phones had more than three buttons. Also, there was rampant music piracy. Like, seriously awful levels of music piracy. Limewire and Napster gave you easy access to a few million songs that you’d never have to pay for, were never licensed, and artists never saw a cent. Like it or not, consumers want free music. Consumers have always wanted free music. And now through Spotify, they have an actually legal, mainstream avenue by which to access and share music. Taking away people’s choice in regard to streaming platforms is, for one, completely useless. When you have twenty different ways to stream music, there’s no real way to effectively get rid of anything, nor is there anything stopping someone from uploading an album to YouTube or Soundcloud. Also, this is a pretty blatant f-you to consumers. Basically, Ms. Swift and her label have decided that they’re not getting enough money, so how dare you to her music in a convenient, painless manner. Which is fine if it’s just her, but if every label and artist suddenly decide they’re not raking in enough cash from streaming services and pull their music, that’s a problem. Two other artists on Taylor’s label have pulled their music, and artist like Garth Brooks, who never let his music onto Spotify to begin with, decided now would be a great time to make the case for getting paid even more. And one can only expect that, after seeing how many sales this drove for Swift’s label, other labels may start pressuring their artists to pull off of Spotify and other services, and demand that customers just stop listening to music the way they want to, and listen to it the way the label wants them to. But see, the funny thing about technology is that you can’t stop it. Spotify is probably the best example of the music industry adapting to the internet age. Going directly against the market is a recipe for failure. So is antagonizing your customer base by implicitly telling them that they should feel ashamed for listening to your songs on a streaming service. Trying to kill streaming doesn’t mean you’ll bring album sales back to life. It means that people will start pirating again, and in larger numbers. 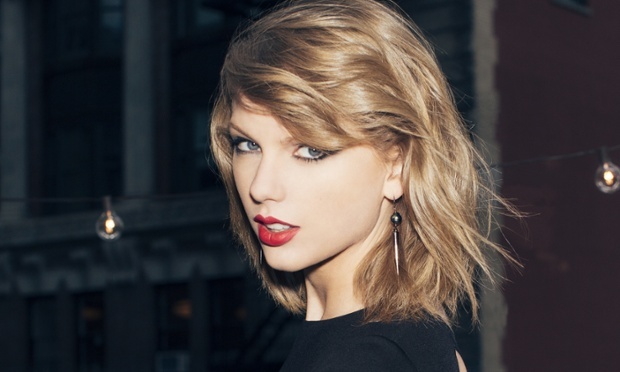 So yeah, taking your music off of Spotify isn’t really a great idea Taylor. Maybe you can get away with it for a while, but if this becomes a precedent, then we are never, ever, ever getting back together.